The safest and most effective way to put fires out is by using a fire extinguisher. Wherever you go you see fire extinguishers, whether it be a Hotel, restaurant, shop, gym, industrial buildings or commercial buildings all have them. They are a necessity to everyday life as fires happen everyday and could happen anywhere meaning that you must have access to a reliable, effective fire extinguisher. With this in mind, The Safety Centre recognize that’s it crucial that these fires must be put out and wont be put out with low standard, ineffective fire extinguishers therefore we only stock the highest quality fire extinguishers. Here at The Safety Centre we stock a wide range of high standard fire extinguishers and some of the top brands too, including Thomas Glover (Chubb Fire) extinguishers. Moreover we also stock the crucial extras required to go with fire extinguishers ensuring there safe storage and that they are visible and easily accessible so check out our fire extinguisher cabinets. 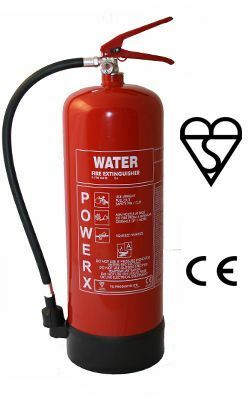 We also tailor our product to your needs and have the right product that you’re looking for, we stock home and car fire extinguishers to ensure safety in all situations and that a fire can be put out anywhere, at anytime. We take pride in being one of the best providers of safety products for the best fire safety and we strive to offer the best prices when it comes to our fire extinguishers, wireless fire alarm systems, wired fire alarms, fire blankets and sealed lead acid batteries. So take a look at our high quality collection now for a huge range of foam, water, powder, CO2 and wet chemical type fire extinguishers which are all suitable for use in the UK.